Faroe Islands with its capital Torshavn is located in Europe (Northern Europe, island group between the Norwegian Sea and the North Atlantic Ocean). It covers some 1,394 square kilometers (eight times the size of Washington, DC) with 50,730 citizens. Faroese and Danish are the common languages used in Faroe Islands. Thiscountry has no land-based border with any other country. The Faroe Islands are 18 islands in the middle of the North Atlantic Ocean, northwest of Scotland and halfway between Iceland and Norway. The Islands are a self-governing island territory of Denmark. With their volcanic origin the 18 islands are rugged and rocky. The Faroese tourist season is very short. It begins in May and ends by September. Most visitors come between July and August by far. If you would like to avoid the busiest season, it is best to visit the Faroes in late May or early June. The Faroese weather has its own temperament and is a lot like the weather in neighboring regions, just more unpredictable. The topography is rugged, rocky, some low peaks with cliffs along most of coast. The average density of population is about 36 per km². The climate in Faroe Islands can be described as mild winters, cool summersusually overcast, foggy, windy. Potential natural disasters are strong winds and heavy rains can occur throughout the year. 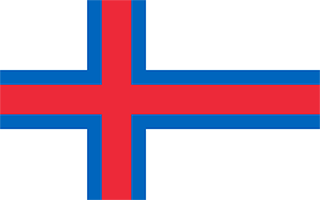 To reach someone Faroe Islands dial +298 prior to a number. The local cellular networks are operated on 900 MHz, 1800 MHz, 3G. Websites typically end with the top level domain ".fo". If you want to bring electric appliances (e.g. battery chaarger), keep in min the local 230 V - 50 Hz (plugs: C, E, F, K). The sign for the locally used currency Krone is DKK.